In springtimes past, my former partner, the Rev. Tom Hartman, would write about why he loved Passover, and I would write about why I loved Easter. Since Tommy’s passing we cannot do that anymore. So I offer to you, dear readers, a menu of questions to go along with the holiday food. I hope you will send me your responses. Your answers to our last homework question, “What do you think it is like to die?” produced many wonderful replies, including the winner, sent to me by a nun caring for a child dying of HIV: “I think when I die it will be like falling asleep and waking up in the arms of God.” I hope the arrival of these springtime holidays (Friday evening, April 19, is the first seder and Sunday, April 21, is Easter) finds you filled with the hope of a new season of joy and salvation. The best way to transmit belief is not through words but through food, so my holiday questions this year all connect to holiday foods. The unleavened bread eaten on Passover is a symbol of the bread baked in haste during the Exodus from Egypt. 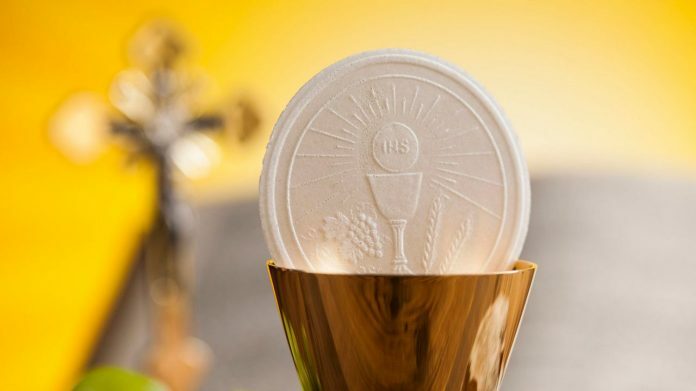 For most Christians, the Communion wafer consumed during the Eucharist ceremony is also an unleavened piece of flat bread. There are obviously differences between the matzo and the Eucharist wafer. The Jewish philosopher Martin Buber said it best: “The matzah is eaten for God and the Eucharist is eaten of God.” However, there is a common understanding of the symbolic importance of eating bread that is unleavened. In the ancient world, leavened bread was expensive and puffed up, so it symbolized arrogance. Unleavened bread was cheap and flat, so it symbolized humility. So my question is, “What makes you humble?” My answer is still the homeless woman Tommy and I met at dawn at the Franciscan bread line near Madison Square Garden. The Franciscan Brothers have handed out food to the homeless every morning for more than 80 years. We were there near Thanksgiving and we were talking to a homeless woman who had just been through the line. I asked her what she was thankful for and immediately realized what a stupid question I had asked to a person living on the streets. Even so, she smiled a big, almost toothless smile and said, “Yesterday was a great day. I found an unopened bottle of water in the trash. I am thankful that yesterday I had my own bottle of water!” I will never forget her humility or her smile. On the plate of symbolic foods in the middle of the Passover table is a sprig of parsley. It is called karpas in Hebrew, and it symbolizes the new growth of springtime. During Easter the Easter egg appears in both decorated and chocolate versions. The egg symbolizes new life, and according to Christian legend, symbolizes Christ’s empty tomb. Parsley and eggs are nature’s case for hope. On the seder plate there is the roasted shank bone of a lamb. It symbolizes the ancient Passover sacrifice of a lamb in the Temple in Jerusalem. Lamb is eaten on Easter because Jesus is referred to by John the Baptist as “the lamb of God who takes away the sin of the world.” (John 1:29) Lamb is about sacrifice, and Passover and Easter are about sacrifice. My lamb question is, “What great sacrifice have you witnessed?” My answer is my friend S, who had four children then adopted a troubled child in foster care and took him into her home and her heart. Her capacity to sacrifice along with her other children, who had to sacrifice space and time to make room for a new brother, is a sacrifice worthy of this and of every season. Happy Passover! Happy Easter! May God bless us, one and all. Next articleStyle at Home: Bring in spring!